"Here After Here is a score for dance/theatre/video production created by Tandy Beal, asking the perennial question: "What happens when we die?" and premiered at Crocker Cabrillio Theater in Aptos, CA September 2010.
various brief excerpts: Led Zeppelin, Gen. Pershing, James P. Johnson, Wilson Pickett, Robert Johnson, JF Kennedy, Miles Davis, Ralph Scoville, Franklin Roosevelt, Chuck Berry, Paulo Brandao, Rumi/Coleman Barks, Stevie Wonder, Admiral Peary, Sally Ride, The Beatles, Annie Dillard, Reya Handman, Fred Astaire, Elizabeth Hayes, Beethoven's Emperor Concerto, rain & thunder over Cream Hill Pond, North Cornwall, CT.
Jon Scoville is Music Director of Tandy Beal & Company and Adjunct Associate Professor at the University of Utah. Accomplished composer and dance accompanist, he has toured world-wide. 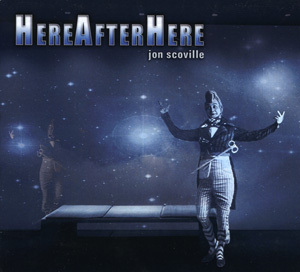 HERE AFTER HERE CD is $15.00 $12.00 ON SALE for the CD.